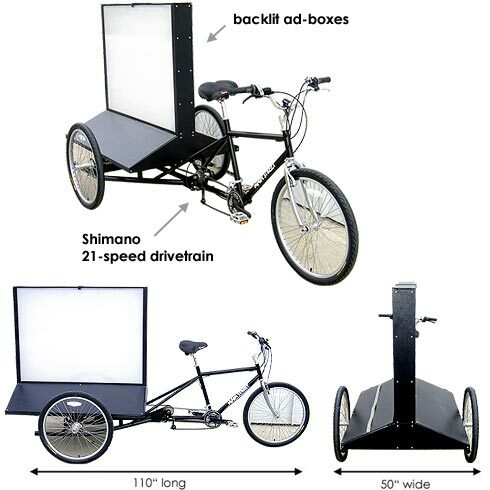 The Billboard Bike™ is an attention-getting form of mobile advertising and brand exposure. 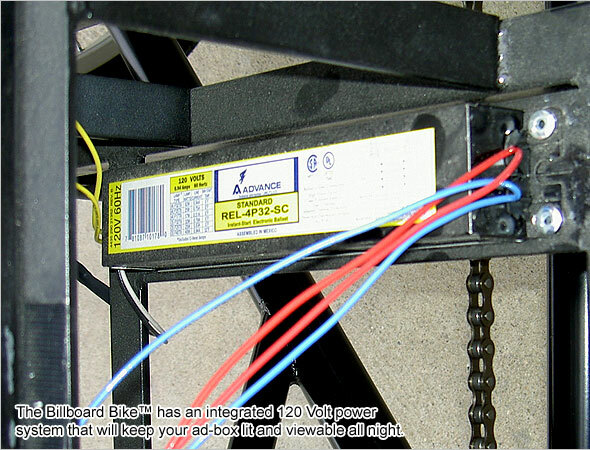 These backlit ad-boxes are seen for blocks, making them a perfect fit for downtown areas, sporting and concert events. 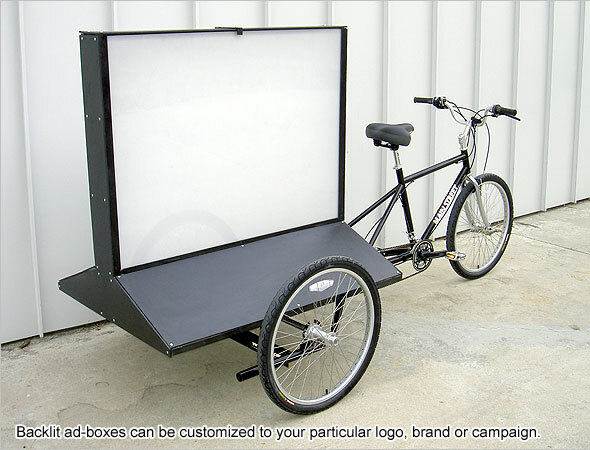 Hit the next high-profile event, position outside in pedestrian-dense locations! 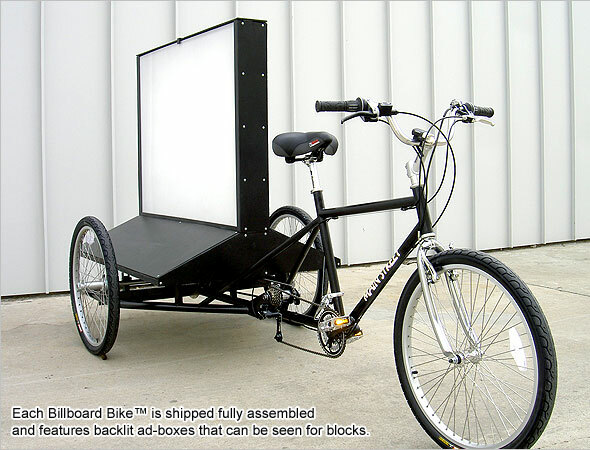 The Billboard Bike™ has Main Street’s famous steel alloy “Classic” frame with powdercoat finish & heavy duty steel axles. 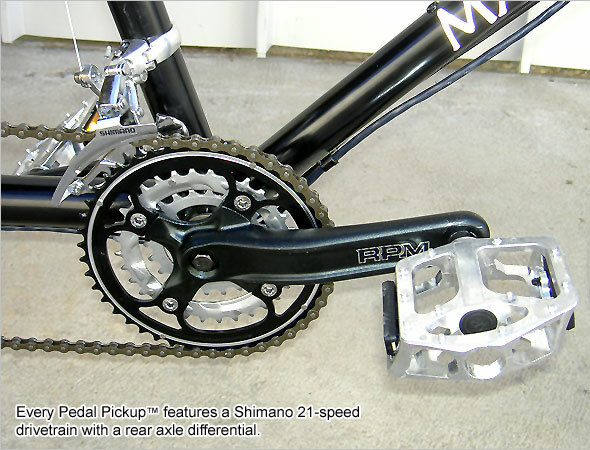 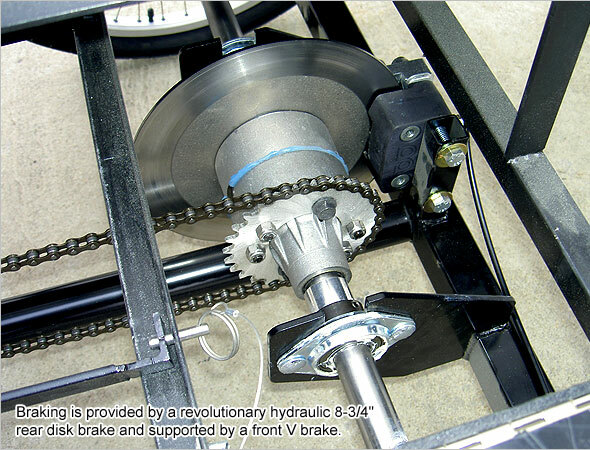 Braking is provided by a hydraulic 8-3/4″ rear disk brake and front V-brake. 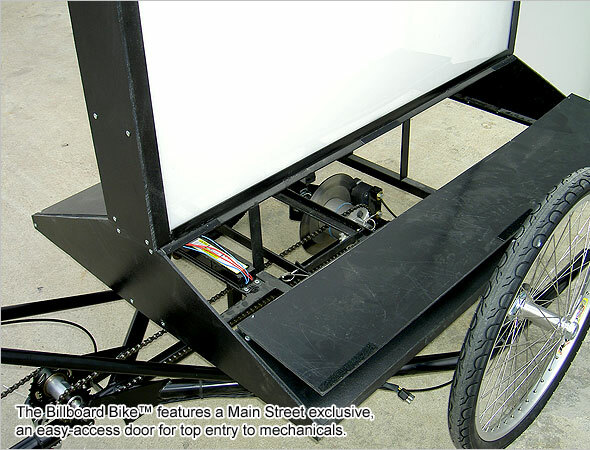 Comes with LED headlight and marker lights.